Wait a moment, this looks familiar. Of course, it is the same Gigabyte model as the one I attempted (and failed) to repair and then used as a guinea pig in the desoldering techniques video. I had a suspicion that this motherboard would suffer from the same problem as the old one, and I wasn’t wrong. The first step was to remove it from the computer case and remove the CPU fan so I could inspect it visually. 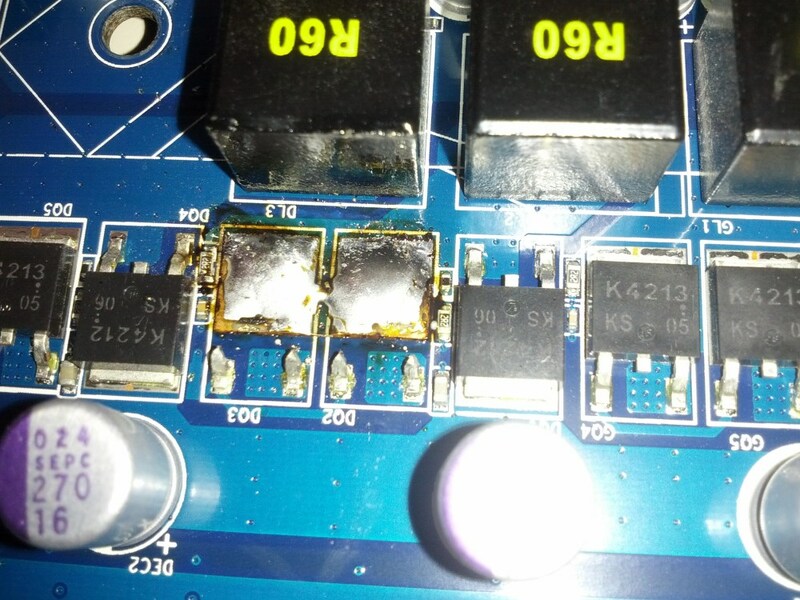 Although it is not entirely clear in that photo, it was apparent that there was something wrong with these mosfets. So the next step was to find the datasheet in order to determine their pinout and perform a test with the multimeter. So the first pin is the Gate, the third is the Source and the middle pin and the rear tab are the Drain. 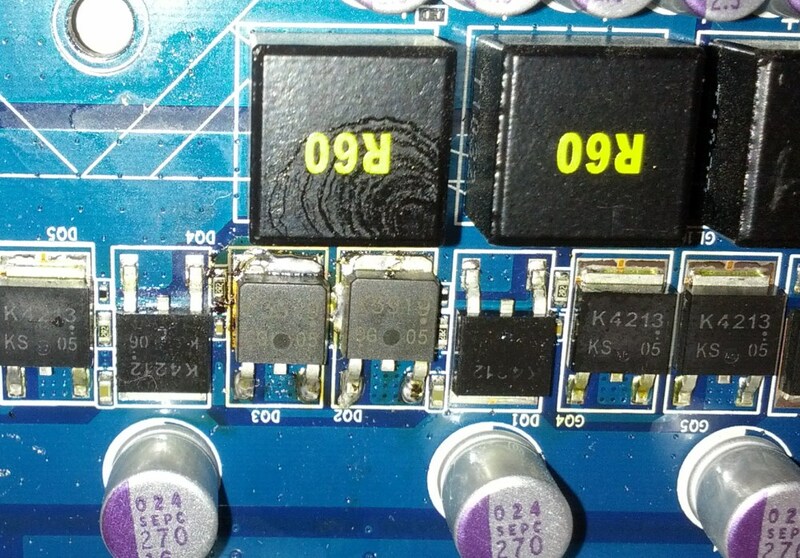 Mosfet measurements with a multimeter and especially in-circuit are not reliable, but can give some insight whether the device is completely damaged. The first test was with the multimeter set in Ohm mode, measuring the resistance between Gate and Drain and between Gate and Source. The Gate is isolated from the main body of a mosfet, so normally these tests should indicate a very high resistance. In both measurements the two mosfets showed practically no resistance. The second test was a resistance measurement between Drain and Source. 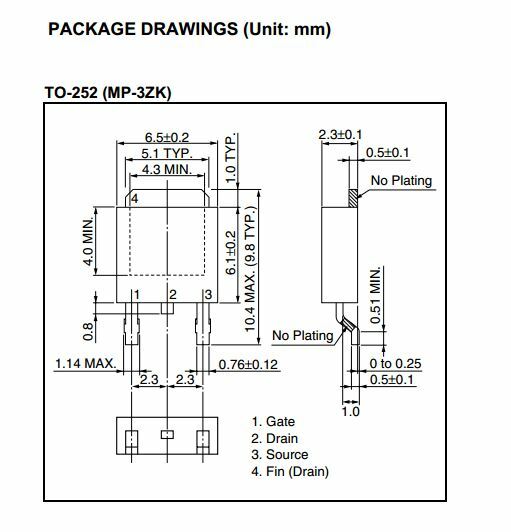 Since the circuit is unpowered and no voltage is applied to the Gate, a very high resistance value is expected. However there are two issues here that we have to be aware of. First, it is quite possible that during the previous test the multimeter itself has charged up the Gate and inadvertently activated the mosfet. In that case there will be a false low resistance reading even if the mosfet is not damaged. This can be avoided by simply touching with a fingertip all three pins at the same time. This is enough to discharge the Gate and deactivate the mosfet. The second point that requires attention is that the measurement should be performed with the red probe of the multimeter on Drain and the black on Source. If the probes are connected backwards there will be a low indicated resistance because essentially we are measuring the parasitic body diode of the mosfet. Eventually, these two mosfets seemed completely shorted. I performed the same tests on the adjacent mosfets and they showed high resistance values, as they should. So the next step was to remove the damaged mosfets, without doing additional damage to the motherboard, and replace them with two good mosfets salvaged from the other motherboard. This time I decided to use another removal method. I first cut the pins with a side cutter. With that, the mosfets rose slightly, indicating that the copper pads of the PCB had separated from the board. Next, I added more solder to the exposed part of the mosfet pads and heated it up for some time with the soldering iron. It took quite some time of heating and the aid of a flathead screwdriver, obviously because as in the previous motherboard, part of the solder mask had melted on the mosfet and wouldn’t let if come off. But I finally managed to remove the mosfets, leaving the pads mostly intact! I then removed two good mosfets from the old motherboard, this time by using the hot air station. 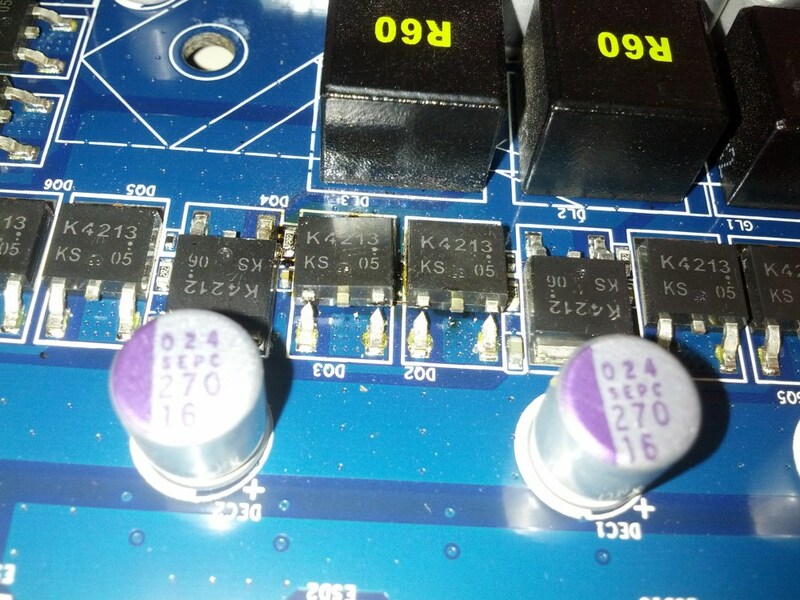 Although both motherboards are identical, even including the revision number, the mosfets I salvaged from the old one are a different model and in particular 2SK3919. This is not unusual, as manufacturers often use equivalent components depending on availability. After I checked the datasheet and made ​​sure that the pinout is the same and they don’t have any major differences, it was time to solder them into place. The solder joints aren’t pretty because due to the lifted pads the mosfets wouldn’t stay in position and there was a gap between the pins and the board. So I had to add lots of solder to make sure they made contact. 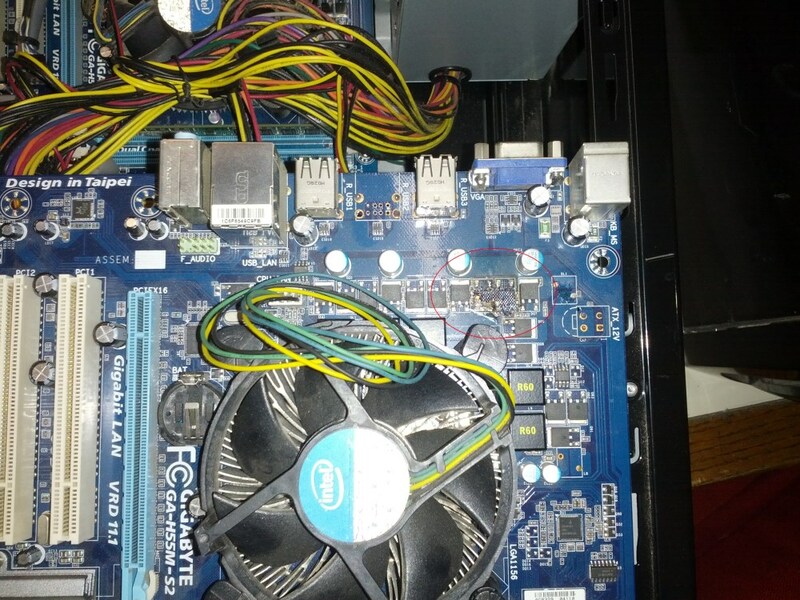 When I was finished, I connected the motherboard back to the computer case to make sure it works. Indeed, the computer started up and booted into Windows! The last thing I did before sending the computer back to the customer was to attach a small heatsink on the two fail-prone mosfets. 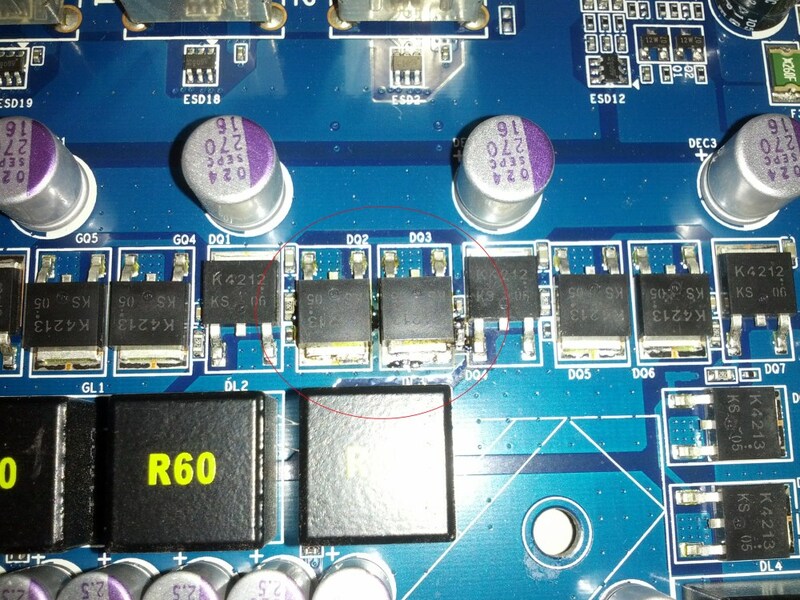 Since these motherboards appear to have a design flaw, the repair is not guaranteed to last. It is quite possible that in the future the mosfets of another phase might burn out. I am in contact with the customer so I will update this post if anything new emerges. I have ga-ep43 ds3l mb, last week mb won’t turn on. I remove cpu, ram, graphic card…. only mb and psu, and when I try to start mb phase leds only blink!? BUT!!! 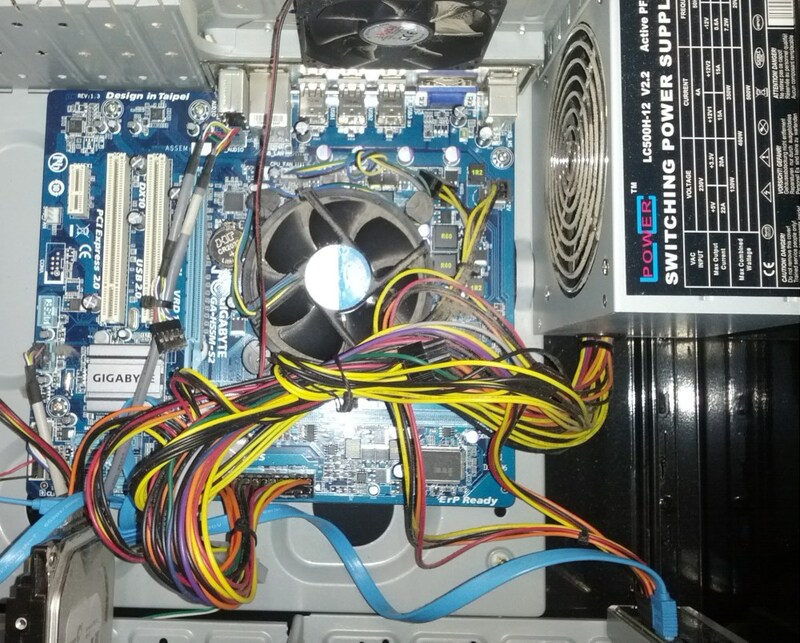 when I remove 4pin (atx 12V)-for cpu, mb turn on and phase leds turn on, psu fan rotate and work. What is the problem with 4 pin atx power? How to repair this MB. P.S. 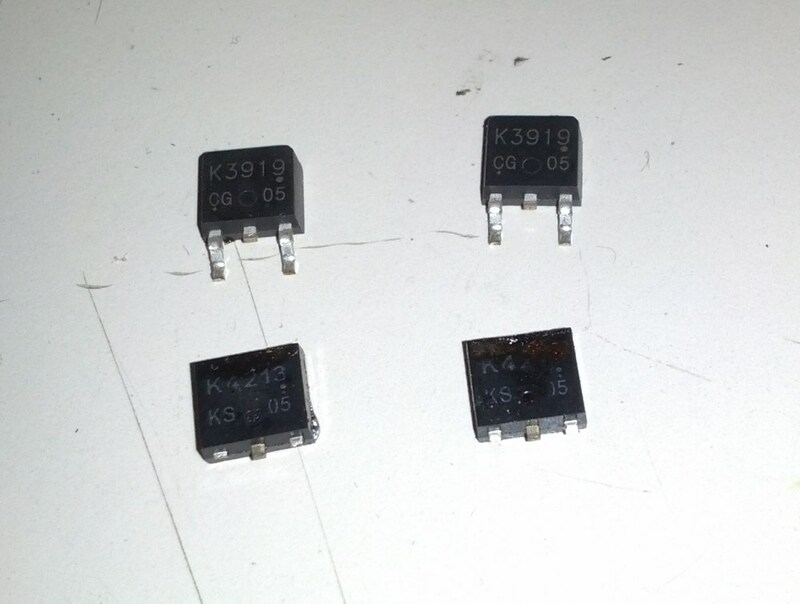 I replace K3919 and K3918(DQ7,8,9,10,11,12) because dq 8,9 was heated spot on backside. But problem stay. I will be very happy if you like to help me to repair this mb-I need it for preparing microsoft exam. AAAAUGGGGGGGH! 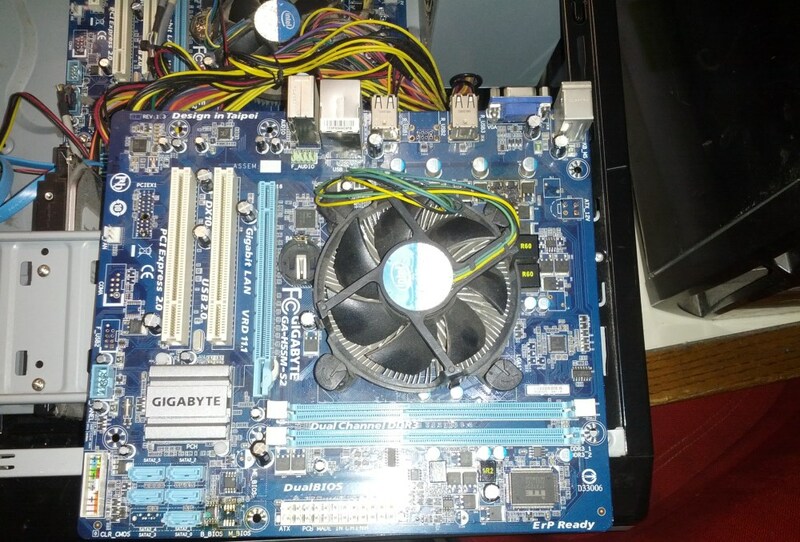 Same problem here, both Gigabyte boards. There was I thinking it was BIOS SNAFU related, entirely possible it was not as there are no beeps or any sign of life other than power switch. 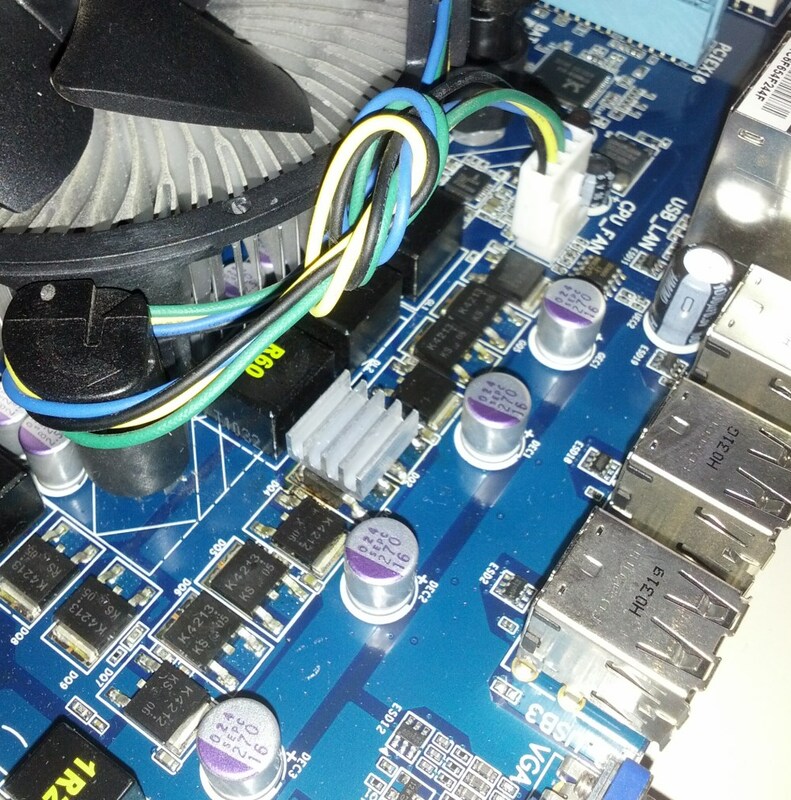 In fact pretty sure my other GaB board has this “feature” as it was dead out of the box with known good compatible S3 CPU, RAM and PSU.